Definitely among the top tablet cases for men, the iPad 2 Wallet from Happy Owl Studio tablet cases actually serves as a two-piece organizer. Combining features of portfolio tablet case and zippered tablet case , this one has pockets cell phones, business cards, credit cards, pens, keys ... oh yes, and the Apple iPad as well. All this and quality leather, too – a sleek, classy tablet case. Old-fashioned sophistication is delivered by this literal tablet book case handmade in San Francisco. 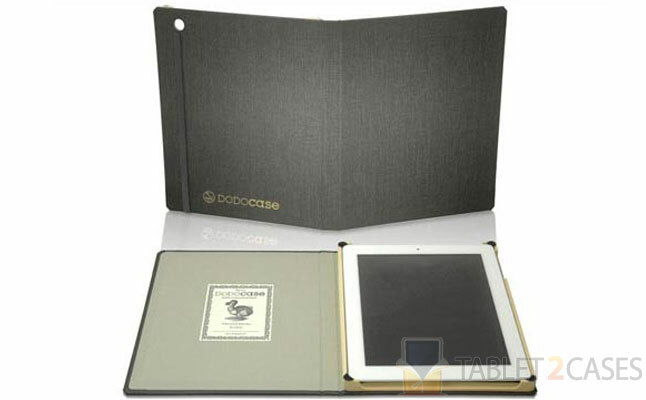 This cloth-bound bamboo case has earned high critical praise from The New York Times, Forbes, Macworld and Engadget – the last of which called the Dodocase tablet case “the Rolls Royce of iPad cases.” Good protection, a nice stand and a great conversation starter. 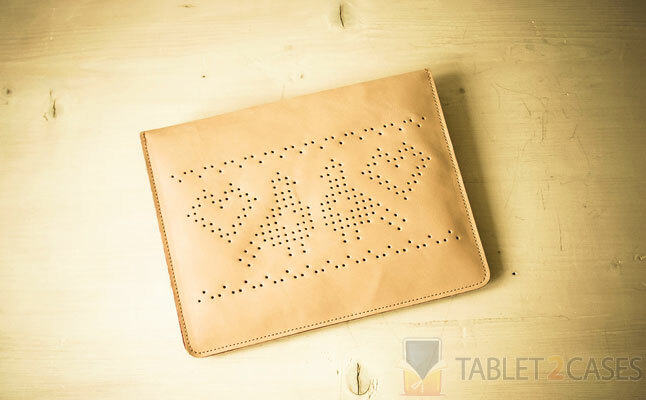 Crafted with Italian leather and handmade in Hungary, The Beta Version tablet cases has created a beautiful Apple iPad case with its “Pixelfolk” limited edition envelope-style design. The pair of talented designers at The Beta Version based these cases’ punch-hole pixilated design on folk art for a look that’s eye-catchingly unique. One of the true notables in cases for women , this one’s available in three colors exclusively at Tablet2Cases. 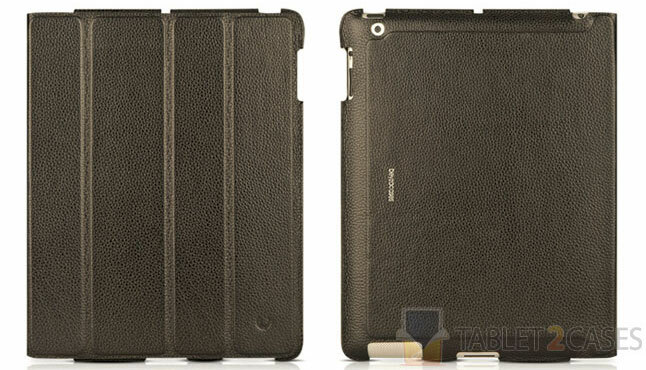 The best feature about the G.2 iPad book case from GermanMade tablet cases? The user may create his/her own custom case design to specifications online. A simple five-step process gets this nice iPad 2/new iPad case within seven days. Also of note is the excellent and handy organizer compartment for storage of accessories stashed *underneath* the iPad – this is truly German engineering at its best. 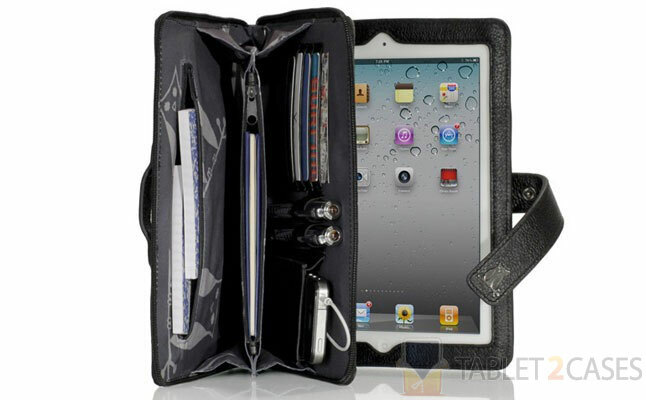 Turkey-based Beyza Cases tablet cases offers a nice no-nonsense design in its Executive II leather Smart Cover iPad case. 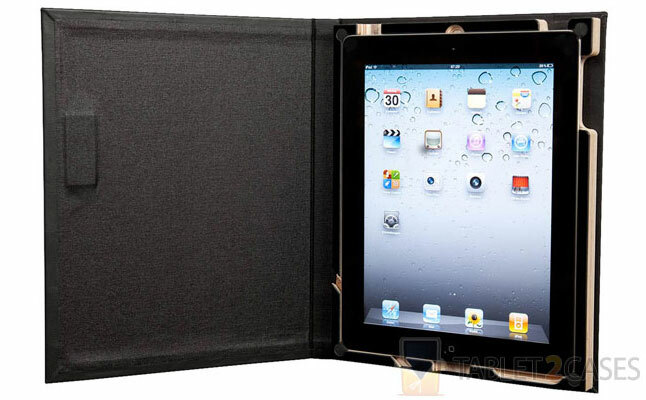 The leather exterior protects against minor damage to the Apple iPad 2/New iPad while the case is sealed magnetically when the iPad is not in use. All functionality of the Smart Cover is provided and the solid tablet stand offers two viewing angles (though unfortunately both in portrait mode only). All in all, a decent deal for the money. 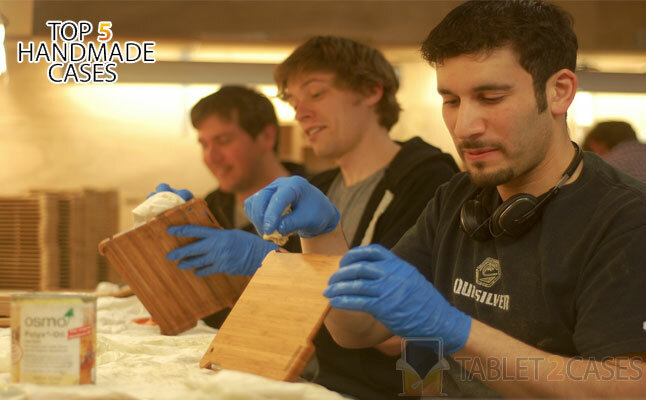 If you’d like to know more about the models appearing in our Top 5 Handmade Tablet Cases, please refer to our Handmade Cases wiki page. Reviews and news about similar products may also be found there.